Services Offered: Lawn care companies have different offerings. 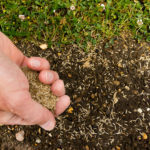 Some focus on the health of your lawn, while others offer landscaping services as well. What is it you need help with? Price Point: People are often surprised to discover how affordable lawn care services can be. Of course, it’s important to determine your price point when choosing a company to work with. Price varies by company, so shop around your area to see who offers the services you need, while fitting your budget. Online Ratings: Who better to listen to the opinions of than actual lawn care customers? Make sure the company you chose has strong overall ratings and that they are addressing their negative reviews. All lawn care companies get negative reviews from time to time. It’s the companies that work to rectify their customer’s issues that you want to go with. Location: Your yard is unique to your area. How your yard should be treated is different than a yard across the country. That’s why it’s important to choose a company whose roots are in your backyard so you know they are fully trained in your terrain. Choose Green Lawn Fertilizing, Your Local Lawn Care Company. We are the top lawn care company servicing Pennsylvania, Delaware, and New Jersey. 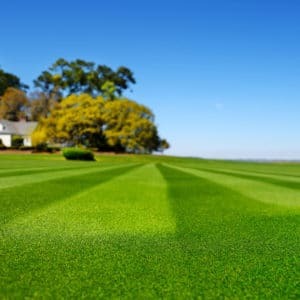 We are known for our Green Lawn Program that takes care of your yard year-round so it’s the healthiest it’s ever been. To learn more about us or to get a free quote, call us today at 888-581-5296.